First of all, we would like to wish Happy Birthday to our favorite actress. 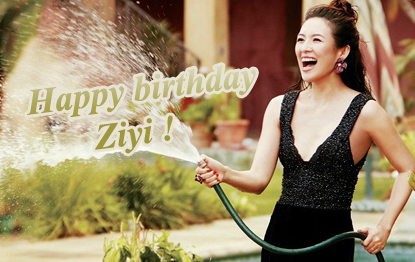 In order to celebrate Ziyi’s birthday, you can enjoy a brand new theme for the website. We hope you’ll like it. Charles did a fantastic job on our new video archive so don’t forget to check it out ! Let’s finish 2015 with a fantastic news… We wish them lots of love and happiness. 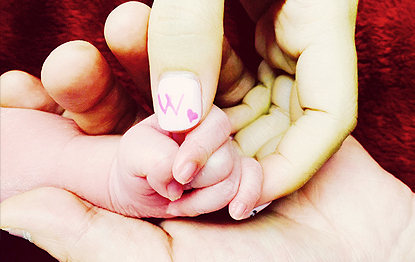 Chinese actress Zhang Ziyi […] posted a photo of a baby’s hand online Monday to announce the arrival of her first child. Zhang’s manager confirmed in a text message to The Associated Press that the 36-year-old actress had given birth following the post on the actress’s Twitter-like Sina Weibo account. It is Zhang’s first child, and the third for Chinese rock singer and composer Wang Feng who has two daughters from previous relationships. Zhang accepted a marriage proposal delivered by drone from Wang in February at her birthday party. Reports said she gave birth in the United States.